The Ultimate Book on differentials and axles, now available in 2nd edition! If you’ve ever wished for an easy-to-understand, comprehensive book that could walk you through the repair, upgrade, and modification of differentials and axles, your day has come. 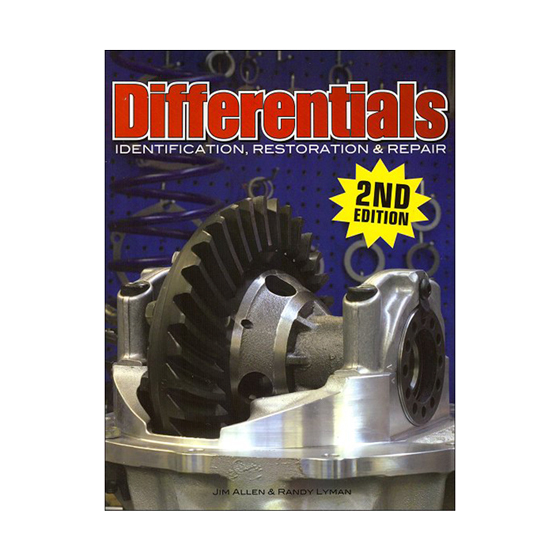 differentials is a new 408 page book on the science and practical aspects of repairing or upgrading your vehicle’s front or rear differential. Well known automotive writer Jim Allen and differential guru Randy Lyman teamed up to create a stunningly complete book. The book is filled with step-by-step, “how-to” information and tips as well as interesting and useful data such as how to identify and use different differential products and the history of the automotive differential. Each of the seven chapters offers a wealth of information, photos and diagrams of differential operation, repair, set up, and modification. The second edition features new differential applications, updated positractions and lockers, and new photos.